This was the first in what became known as the Return Series. An ongoing series of interventions, some documented, others not, involving the repair and subsequent return of various items that had been discovered abandoned. This jumper, a Marks & Spencer woollen roll neck, had been dropped on a path on the Downs in Bristol by some absent minded gent. On finding it, I picked it up, took it back home with me, cleaned it and repaired it. 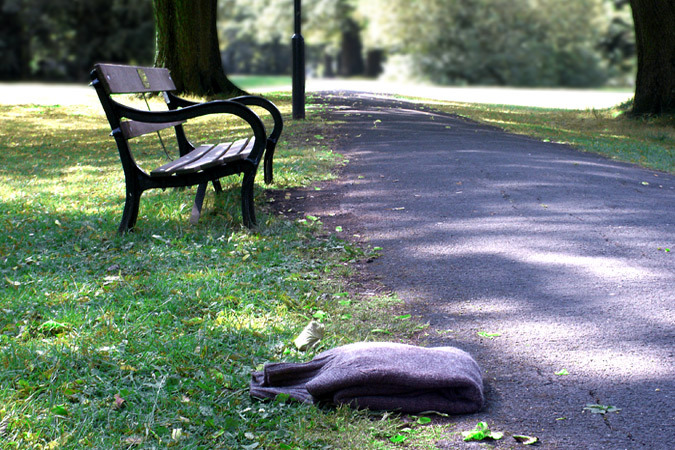 A few days later I returned to the Downs and left it, neatly folded, exactly where I had found it.